LEGO Rebrick is a website all about contests. 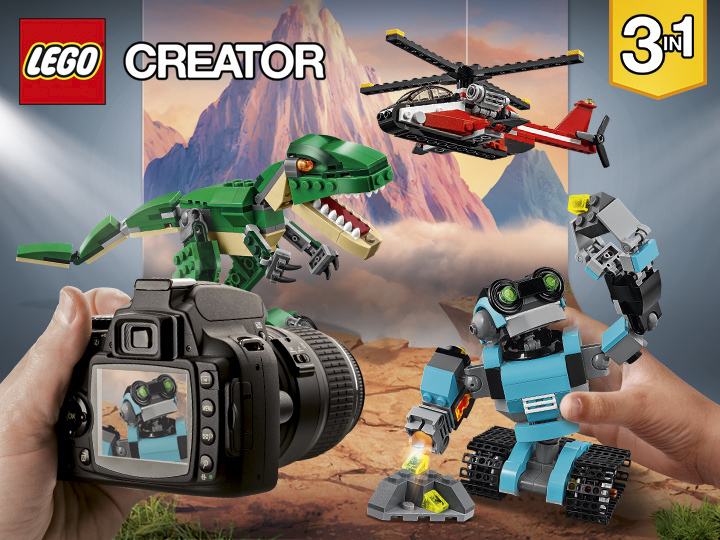 If you’re 13 years or older, you can submit entries, vote for others, and win some amazing prizes, and this month it’s all about stop-motion animation and LEGO Creator sets! Using a LEGO Creator 3in1 set, either build the model on the box or your original design, and capture it in stop-motion. Upload the video to YouTube or similar, and submit the entry to LEGO Rebrick by no later than March 24th, 2017 at 10am EST. The prizes look pretty great, with the grand prize as the full assortment of 1st half 2017 LEGO Creator sets! For more information and full details, check out the Build and Rebuild contest page on LEGO Rebrick. I’d love to see what people have come up with, so feel free to comment below with your stop motion entry!